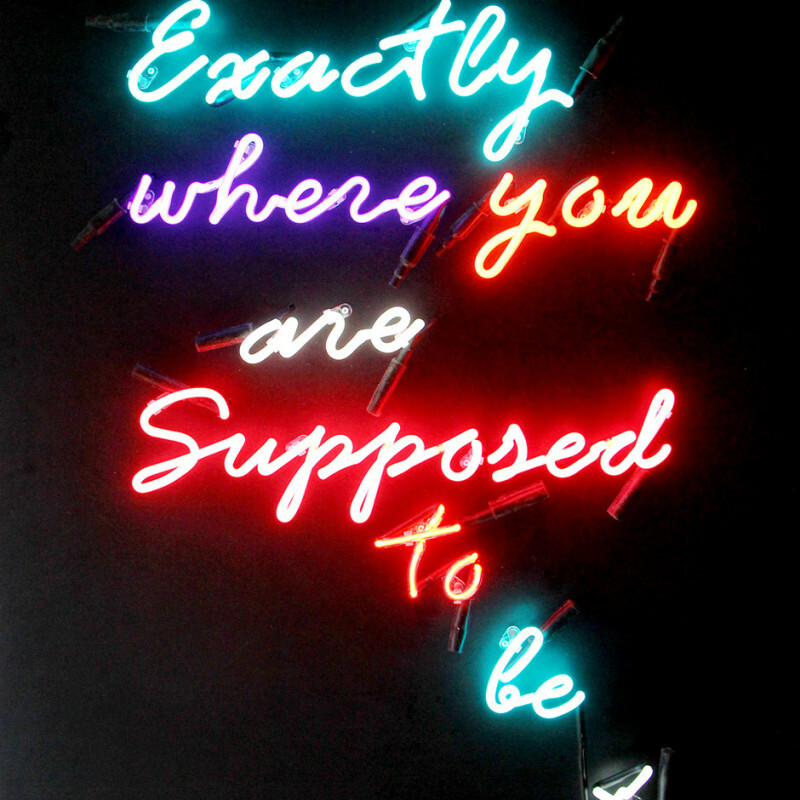 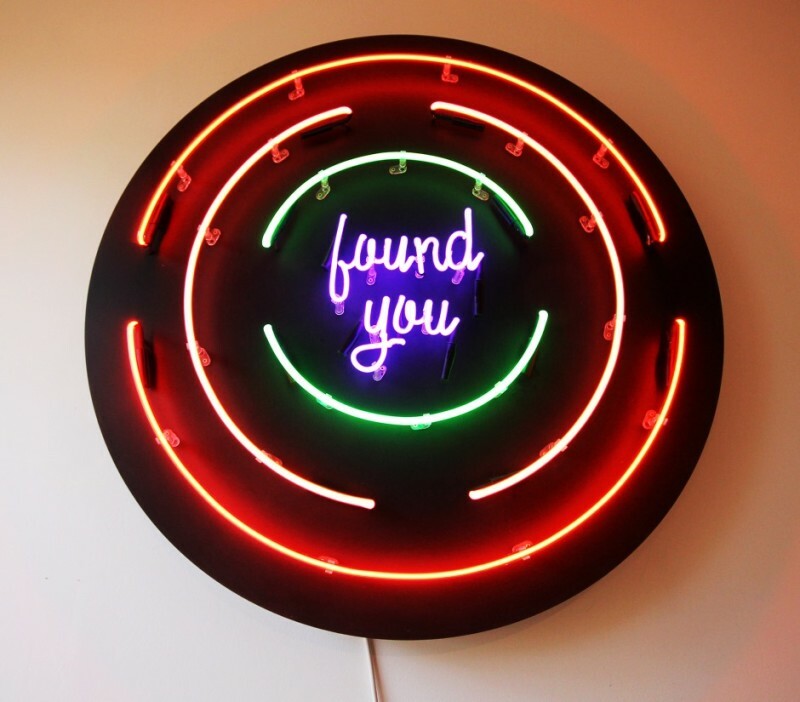 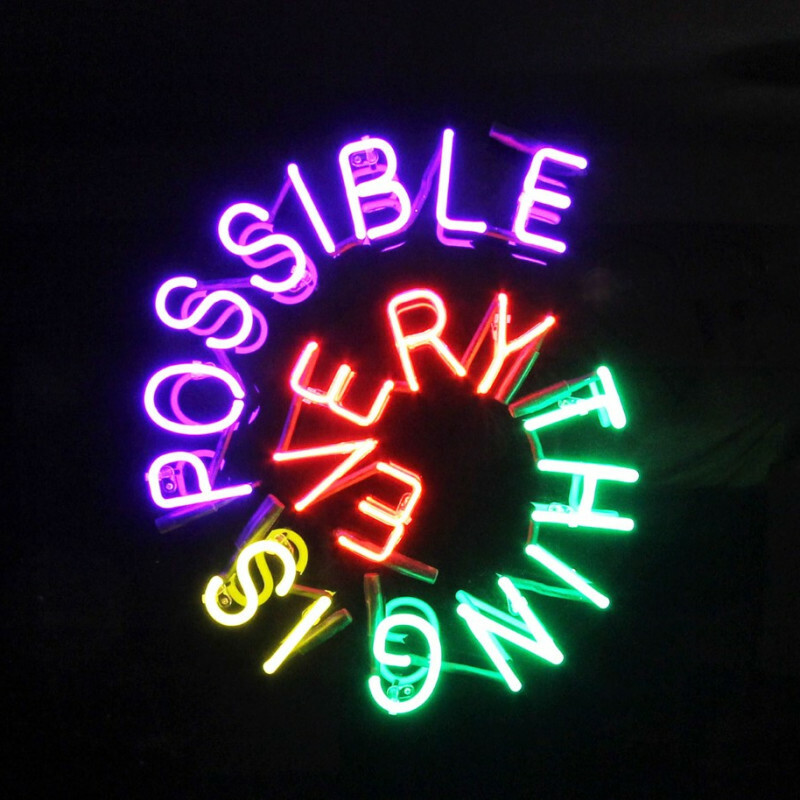 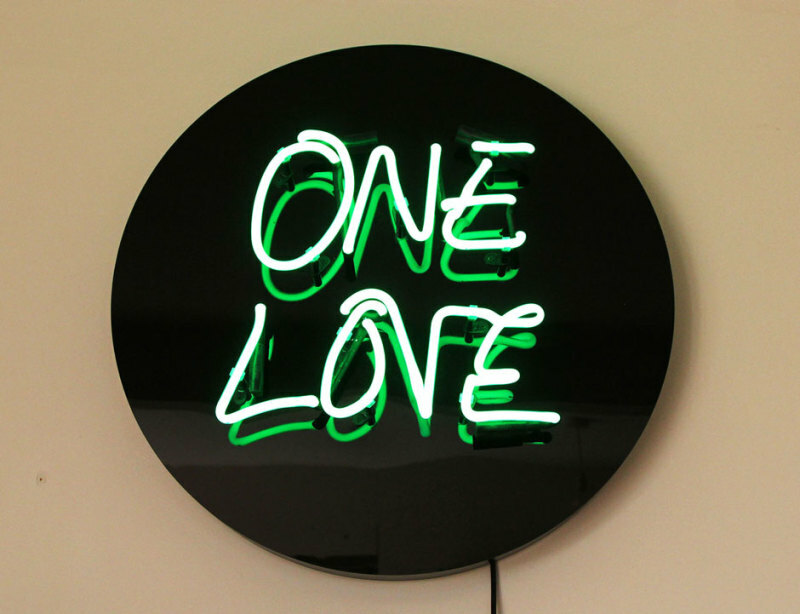 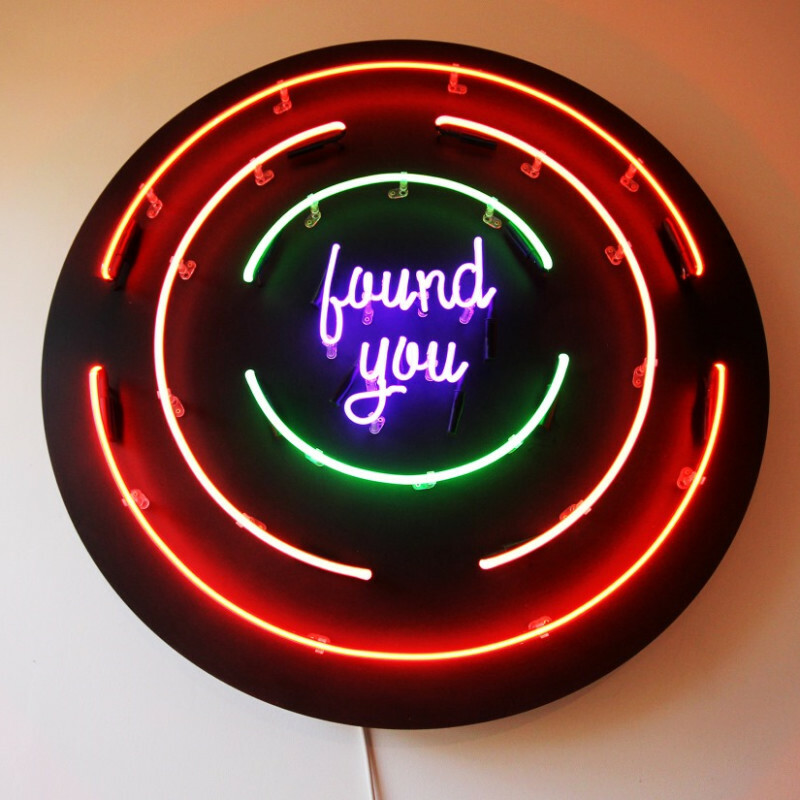 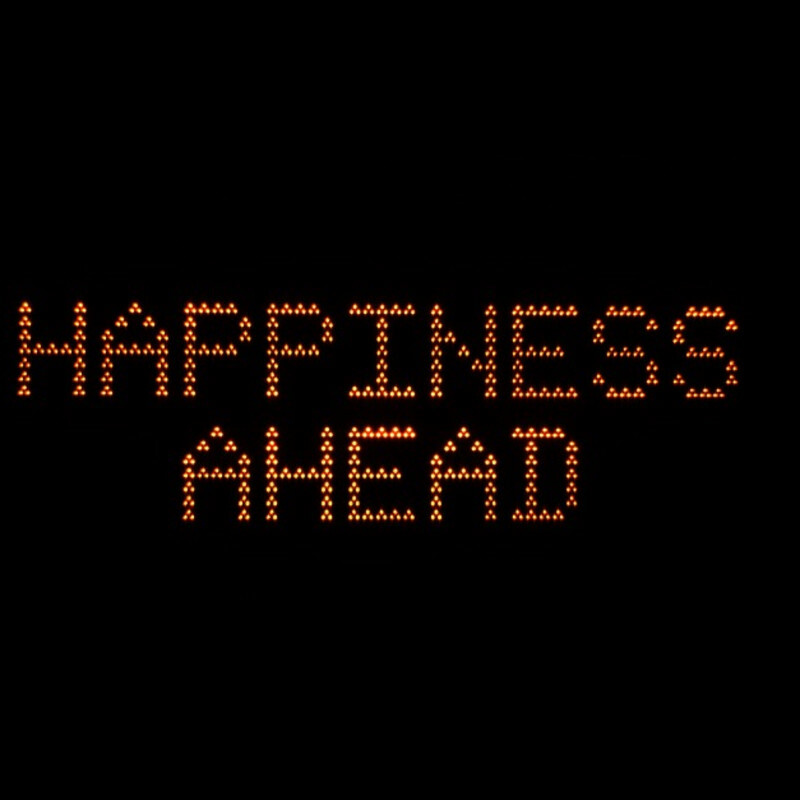 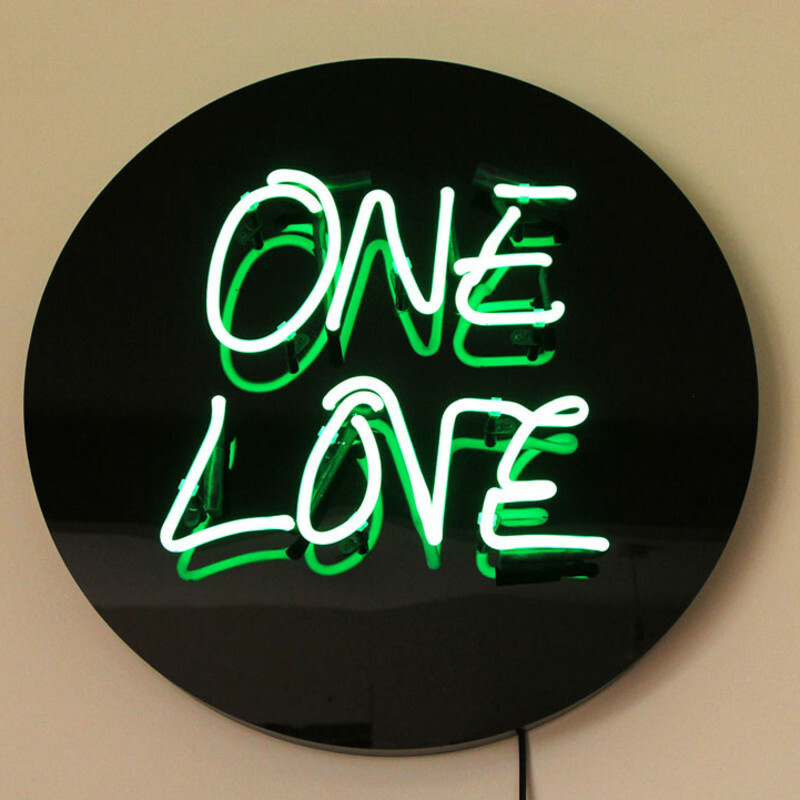 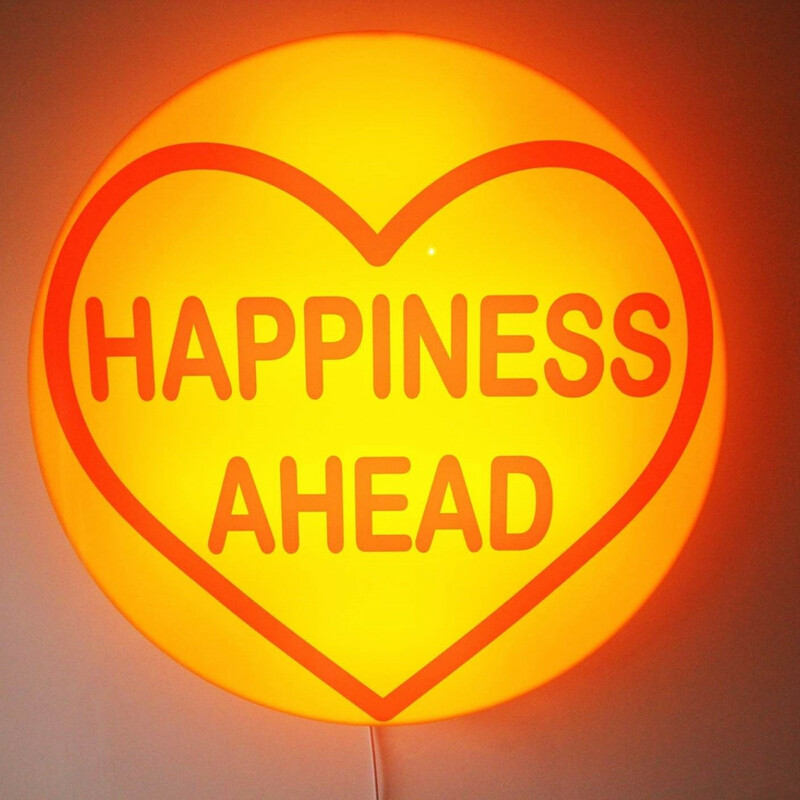 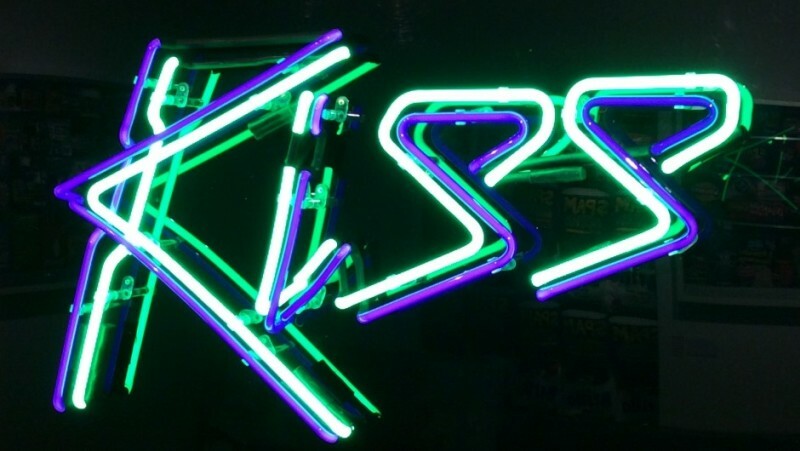 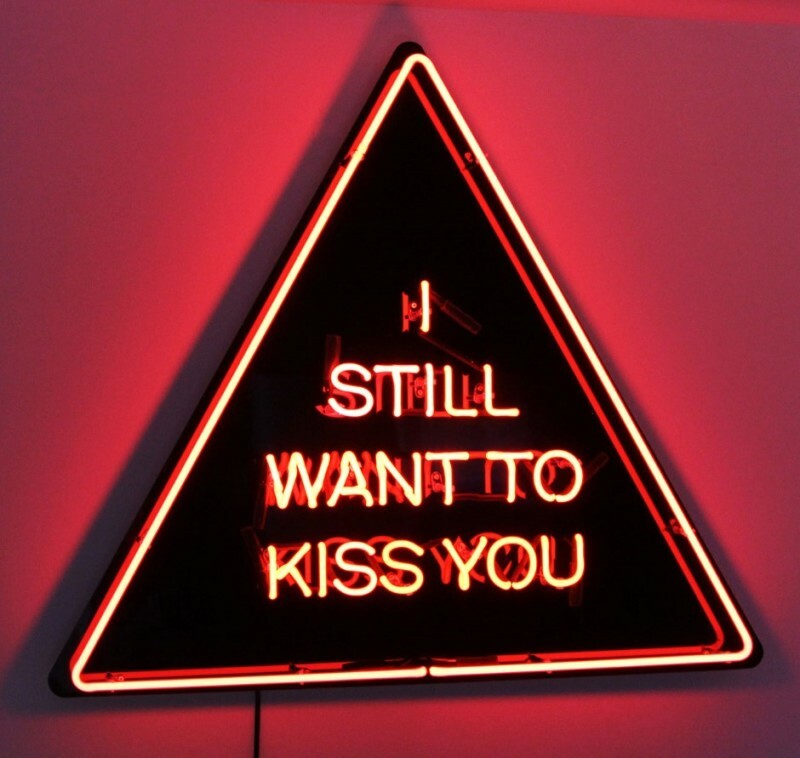 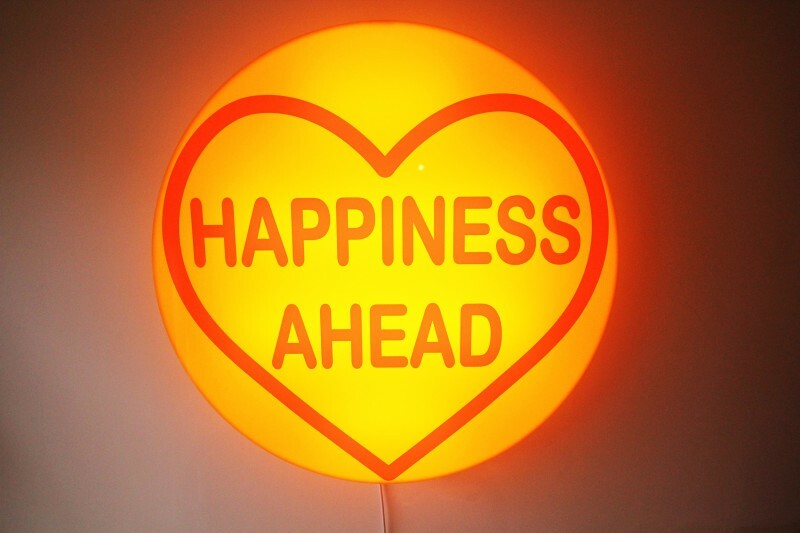 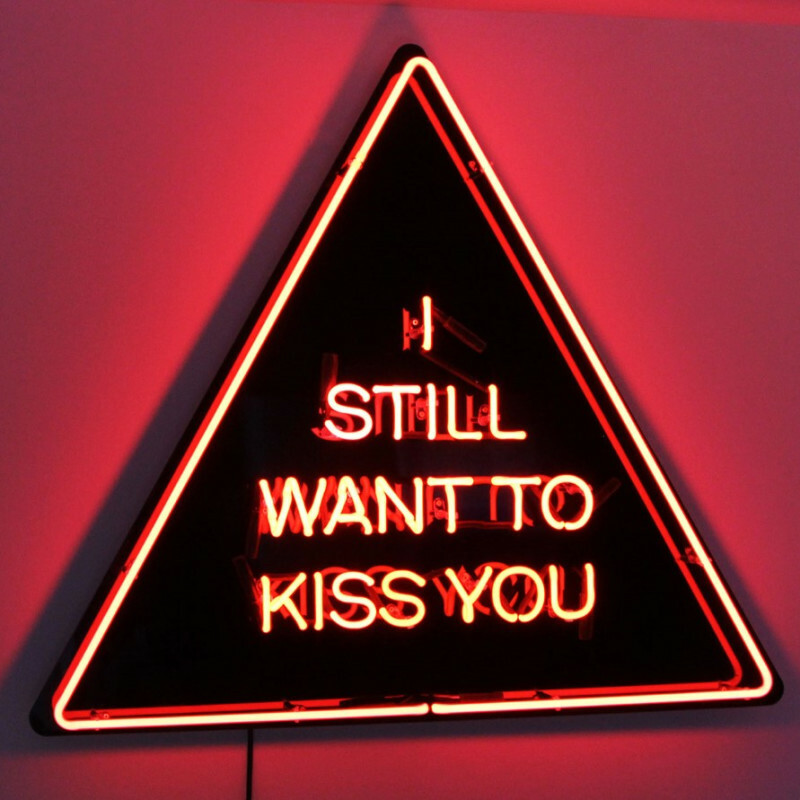 Signs are supposed to guide us safely through life, pointing us in the right directions and down the right paths in the perfect time frame..
For more than a decade, Zoe Grace has been delighting passersby’s with her modified street signs and lighting up lives with neon artworks. 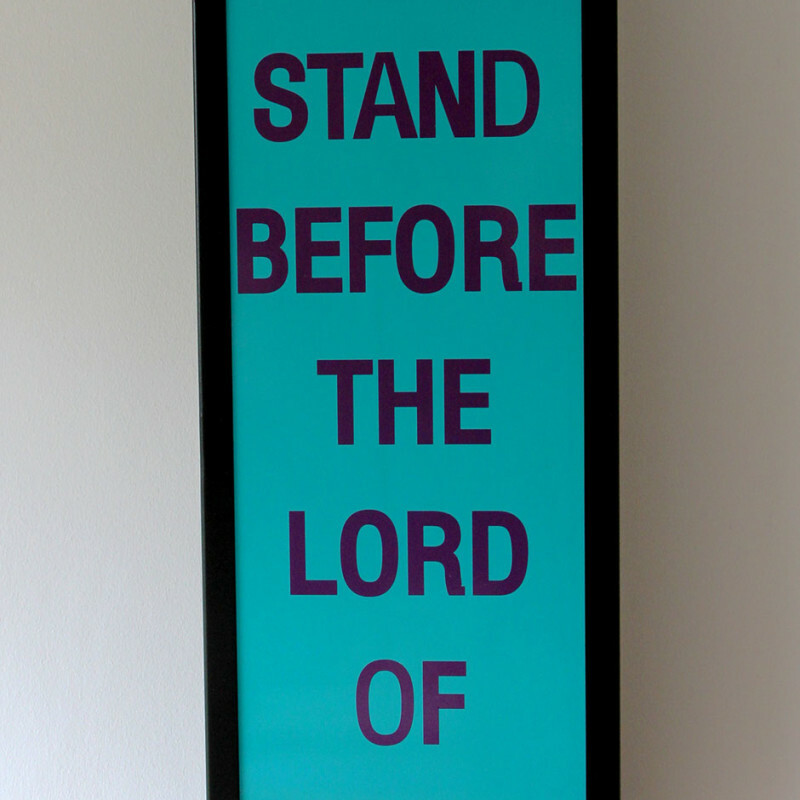 Grace began creating street signs when her son first started going to school on his own. 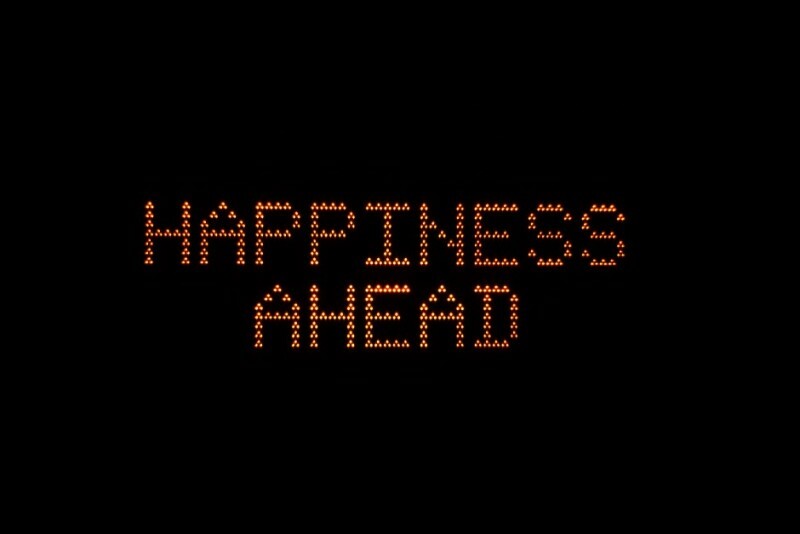 To prevent him getting lost she left signs for him at the relevant bus stops and along the roads to show him which direction to go. 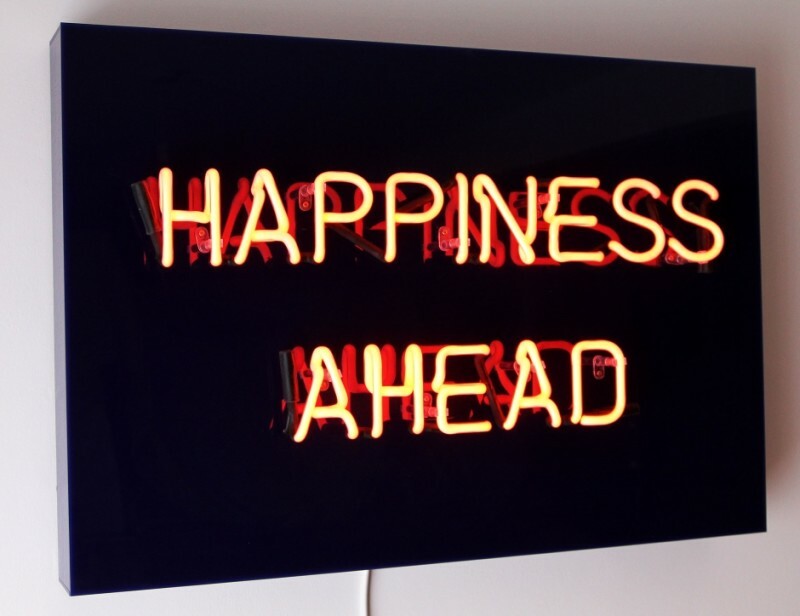 Generally the signs we come across on a daily basis can appear like limiting and pessimistic rules. 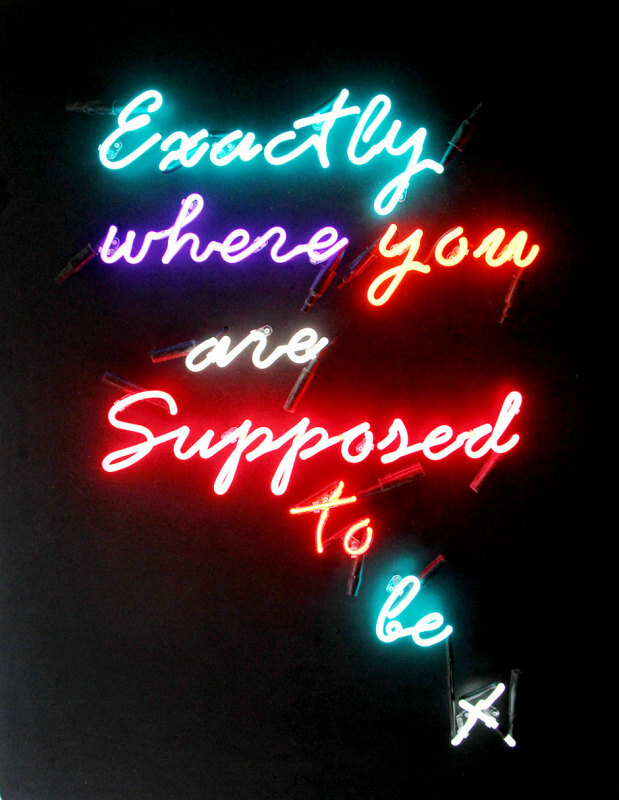 Defining herself as an opportunistic artist, Grace finds street signs and modifies them to contain a statement which not only guides, but furthermore brightens up one’s day.Contrary to her light works, her modified street signs are not exhibited – they are left for the public to see and enjoy for as long as they remain. 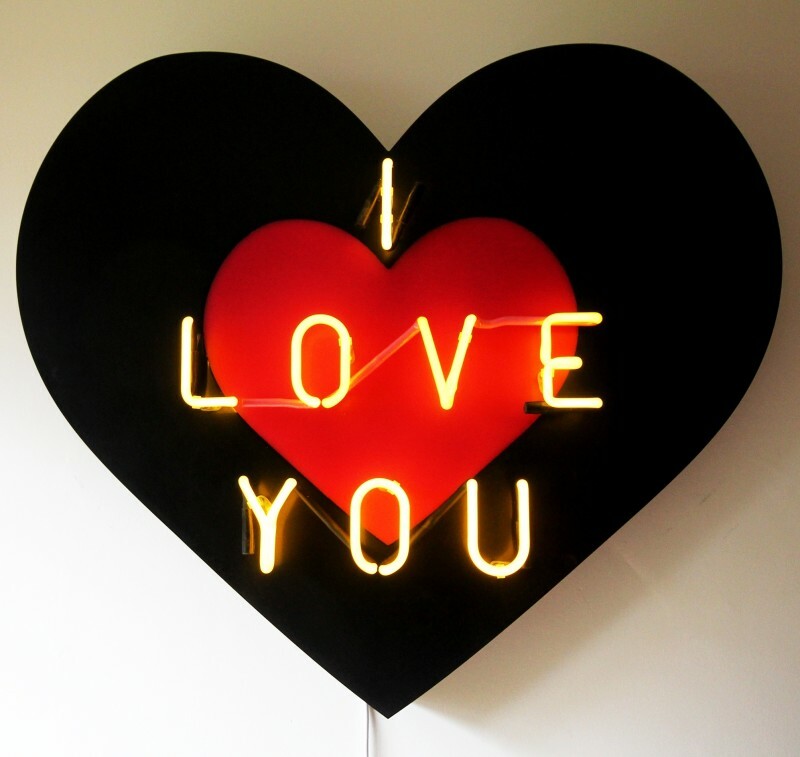 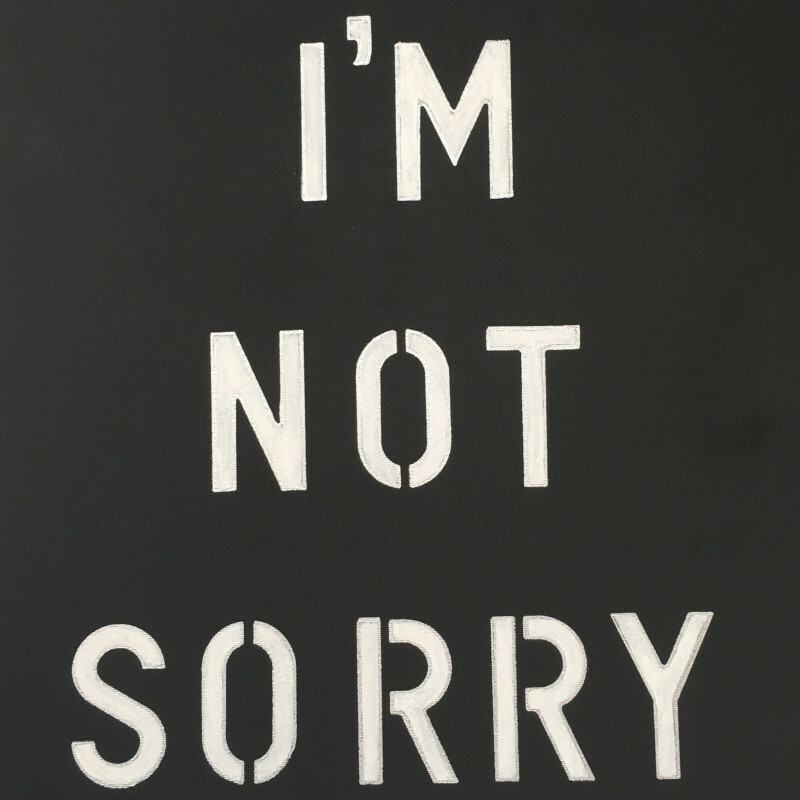 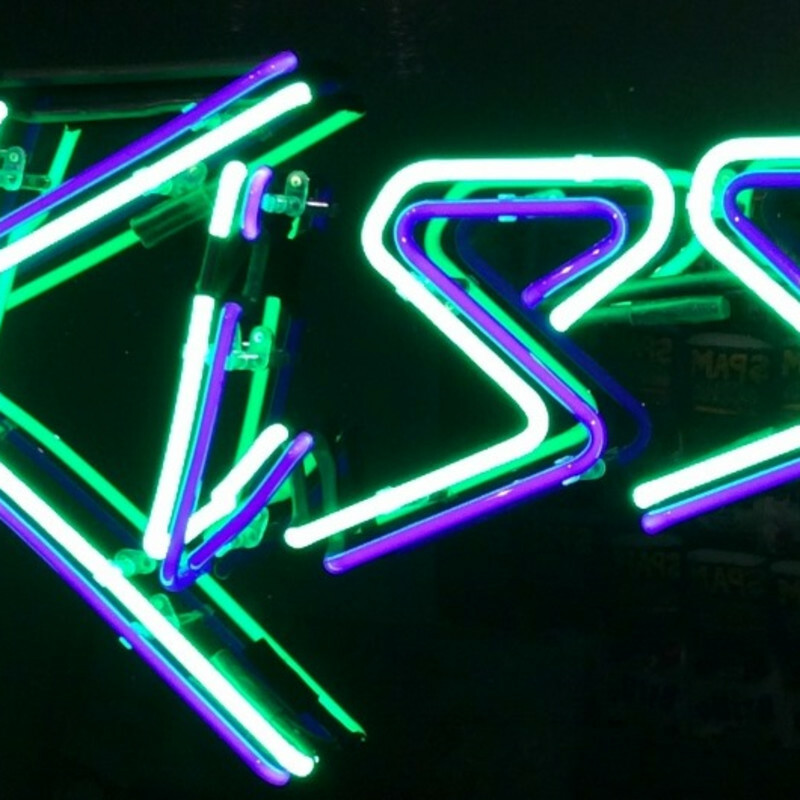 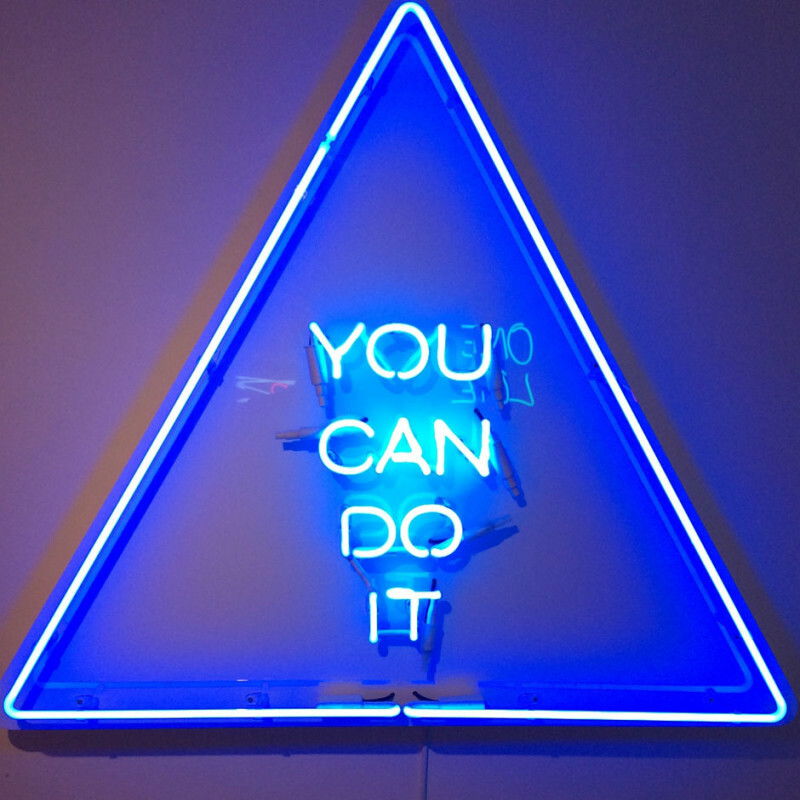 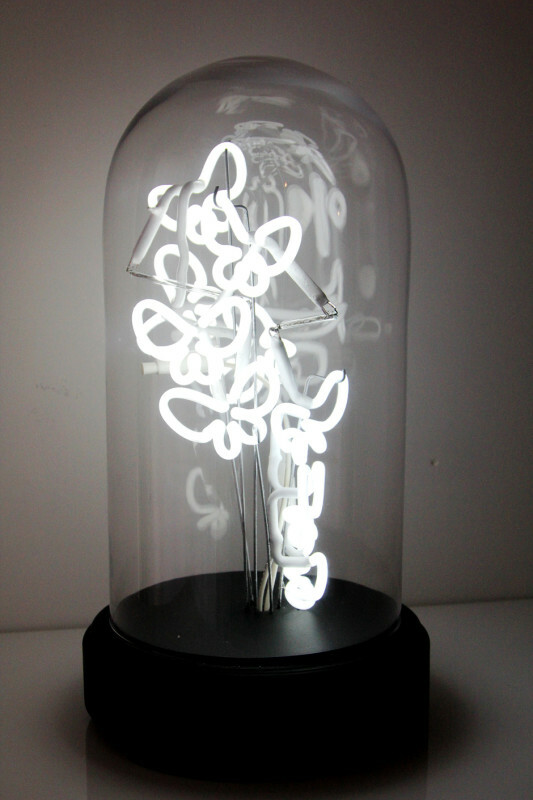 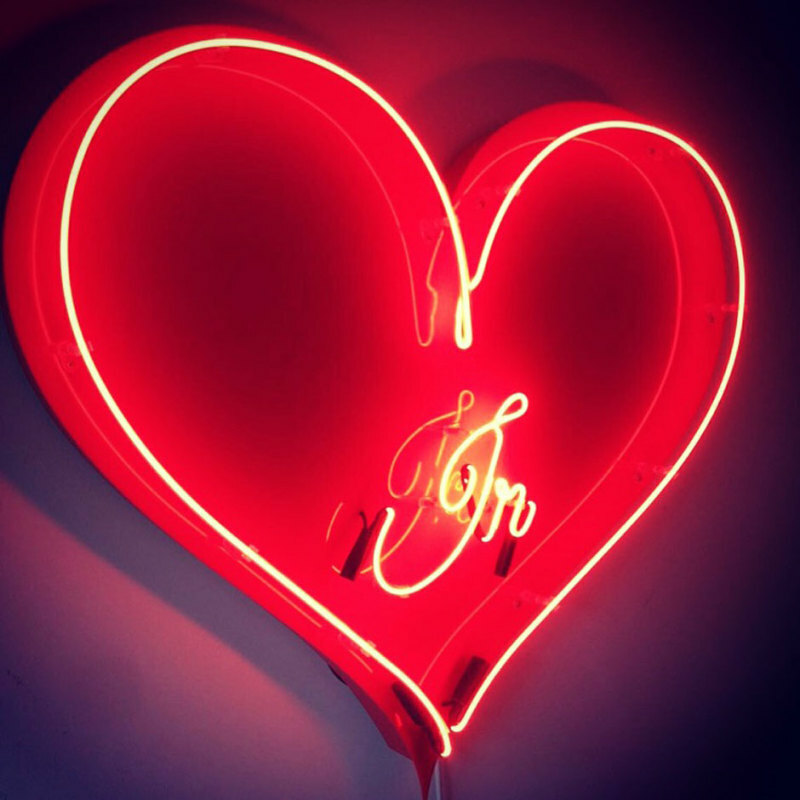 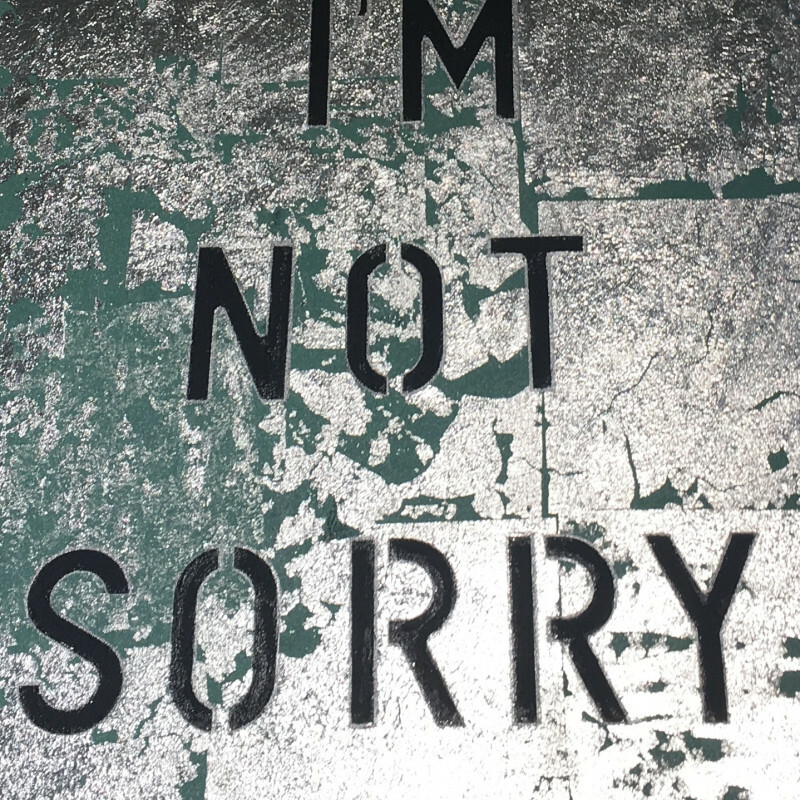 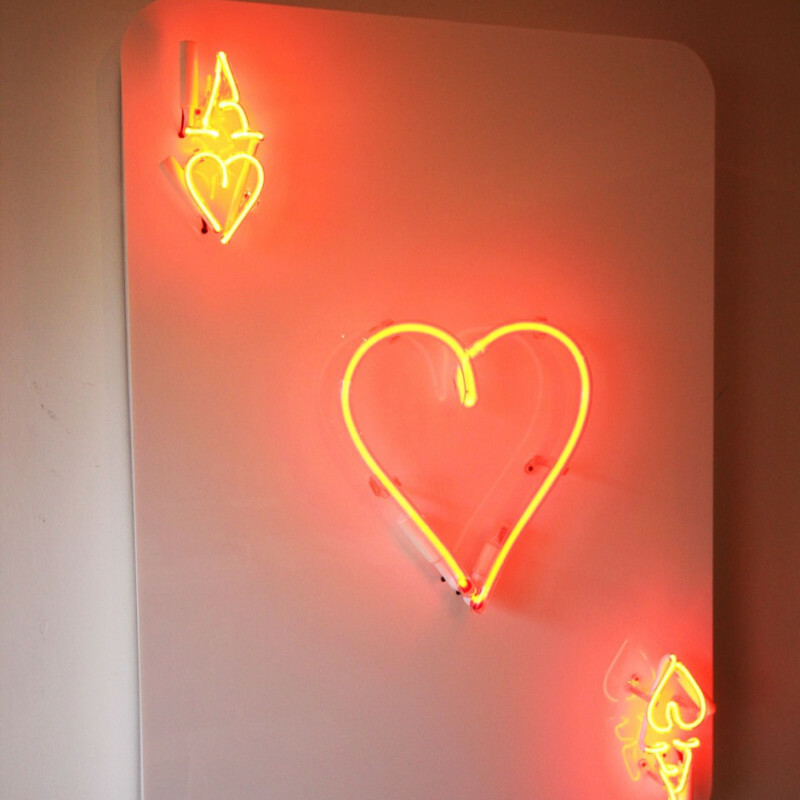 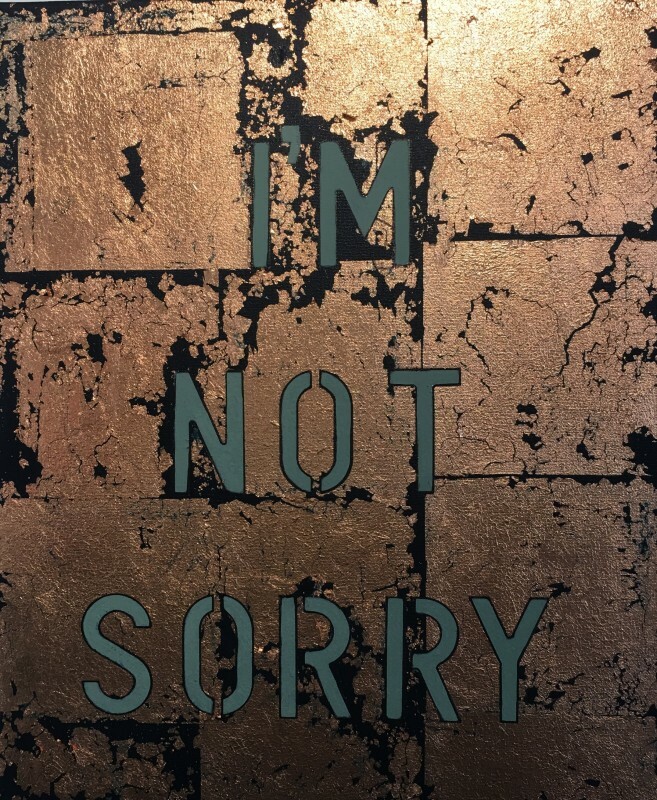 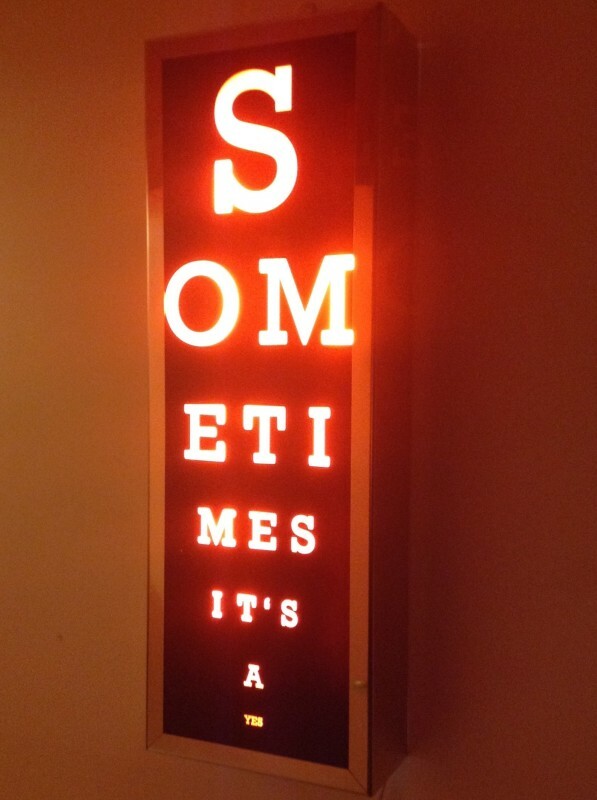 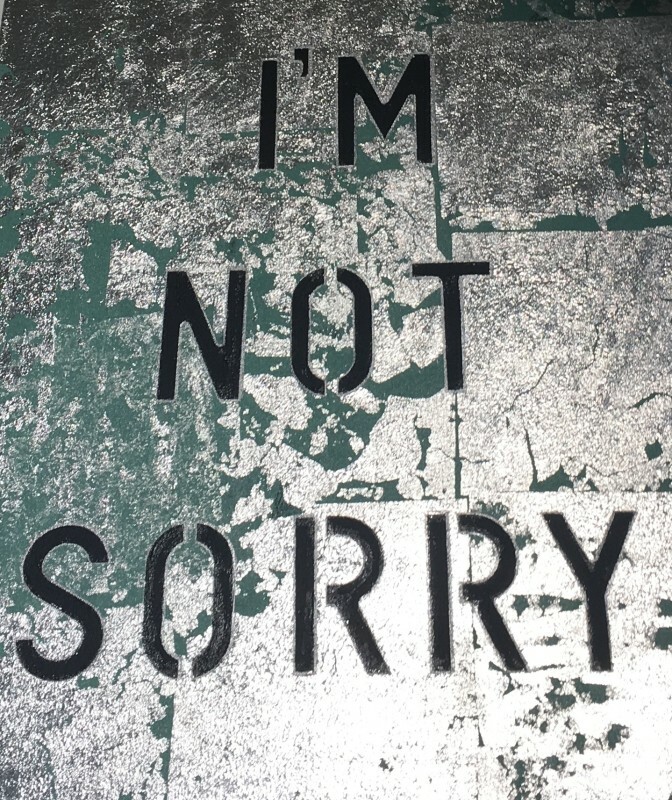 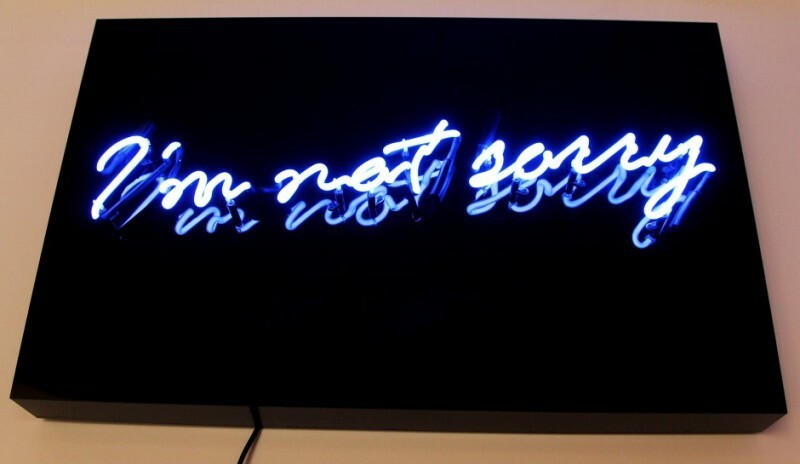 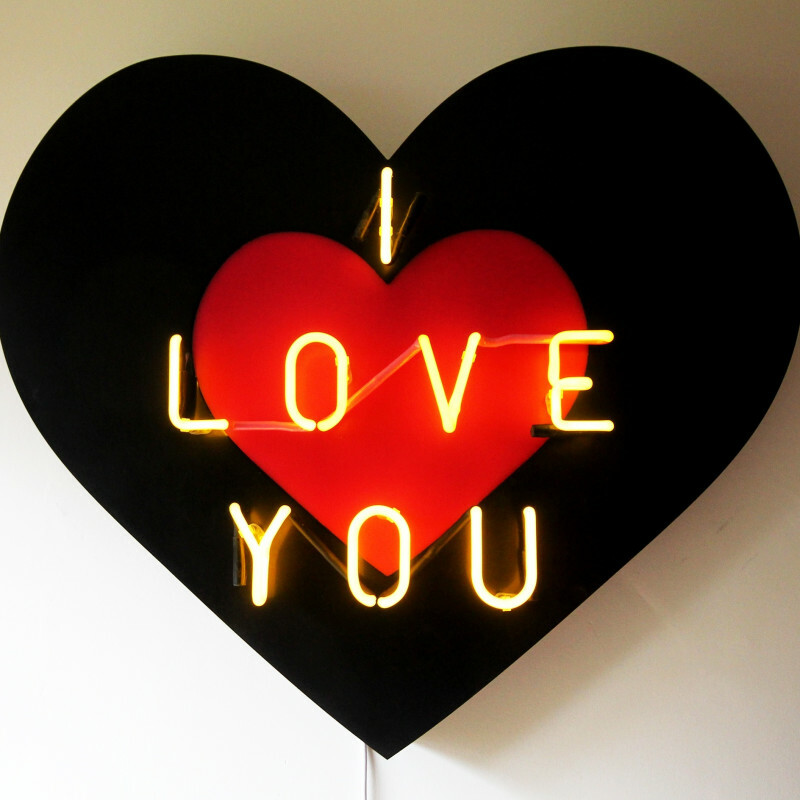 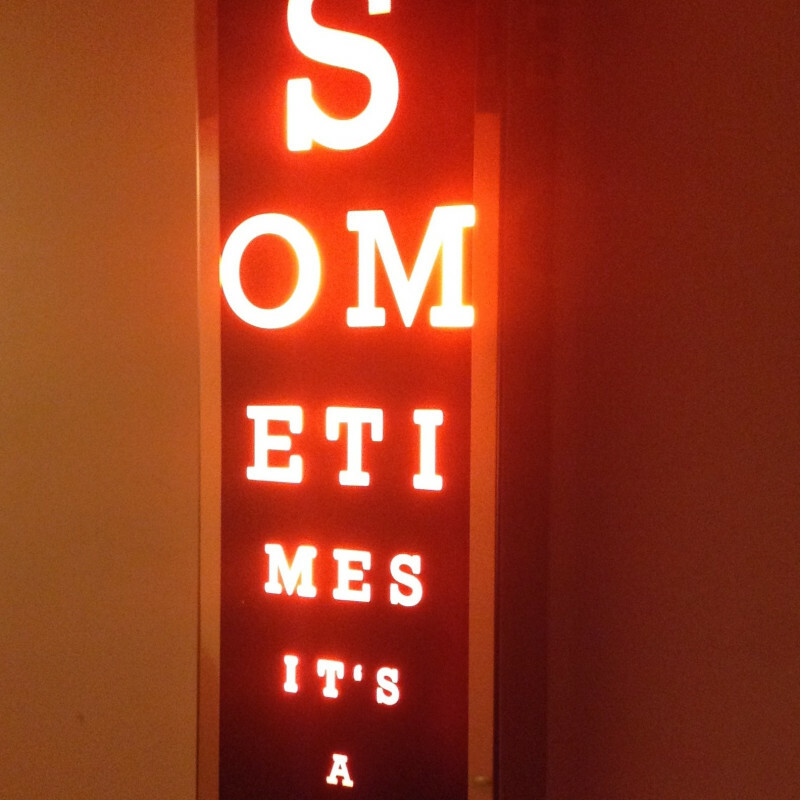 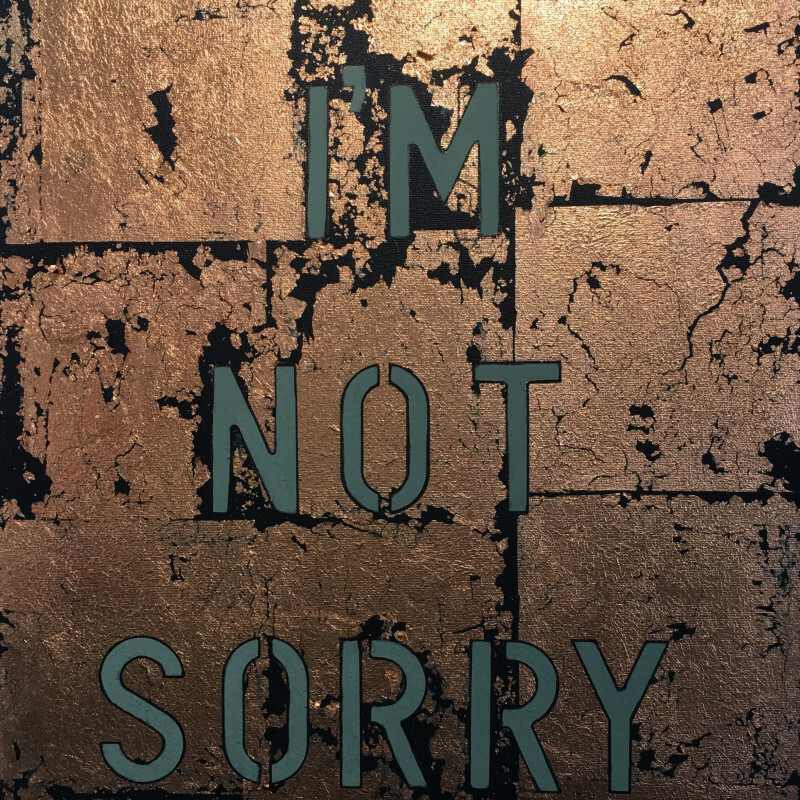 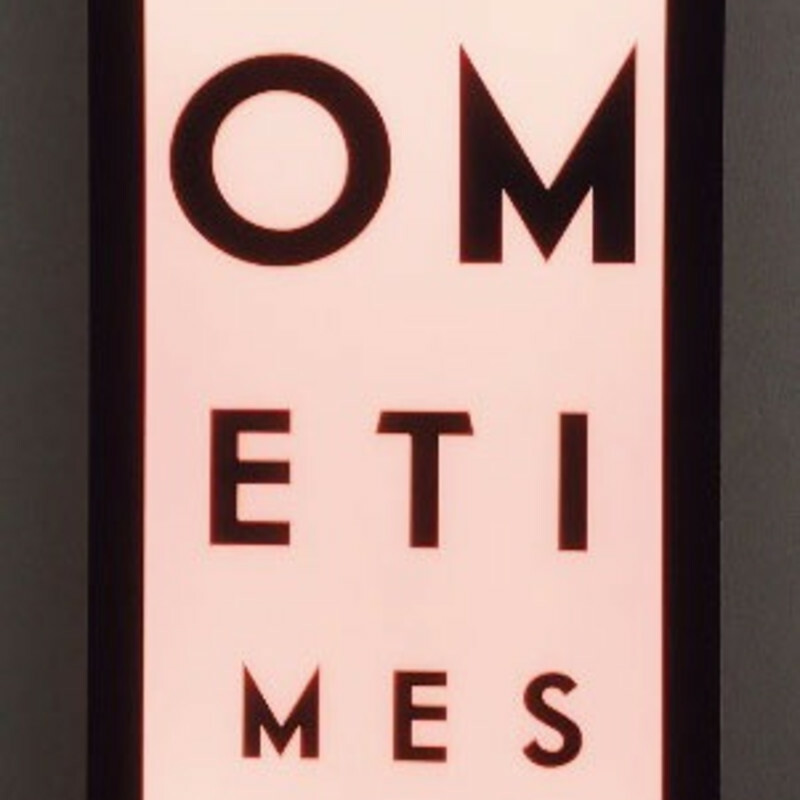 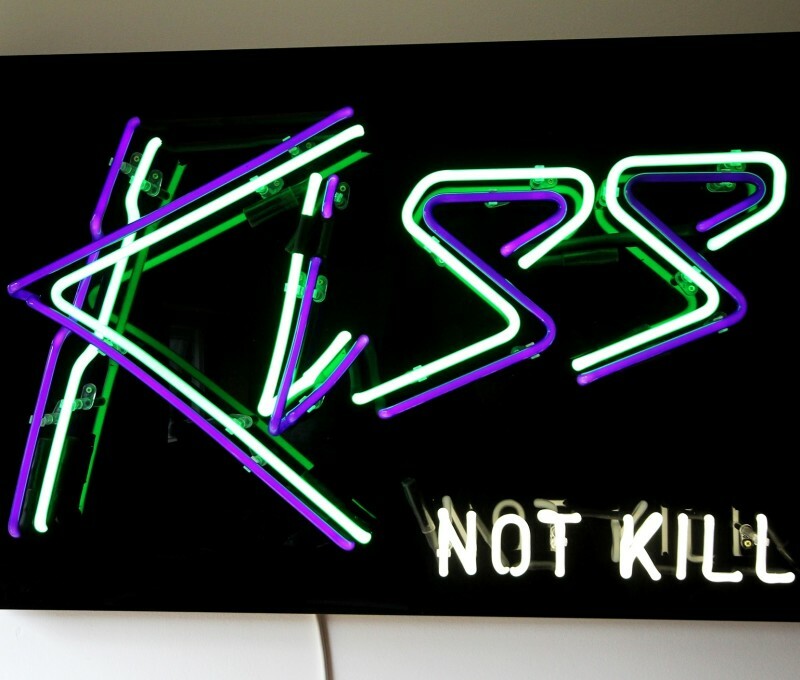 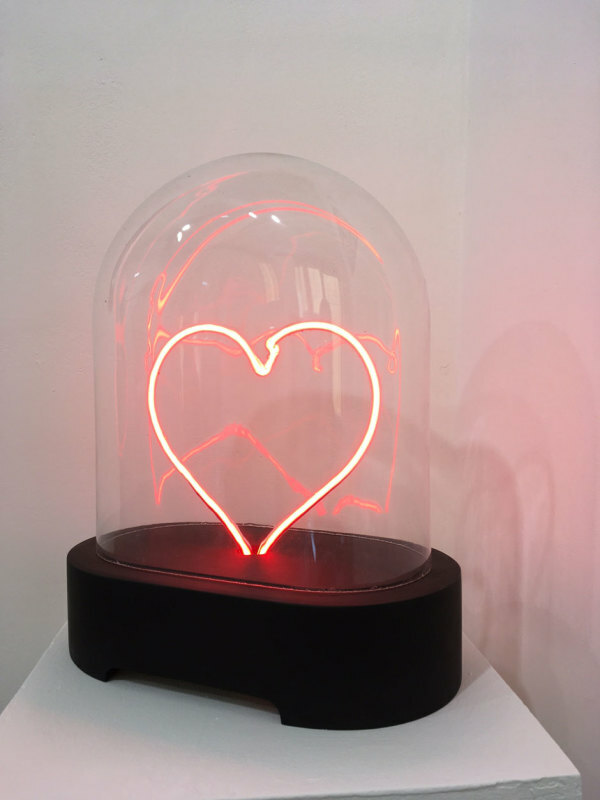 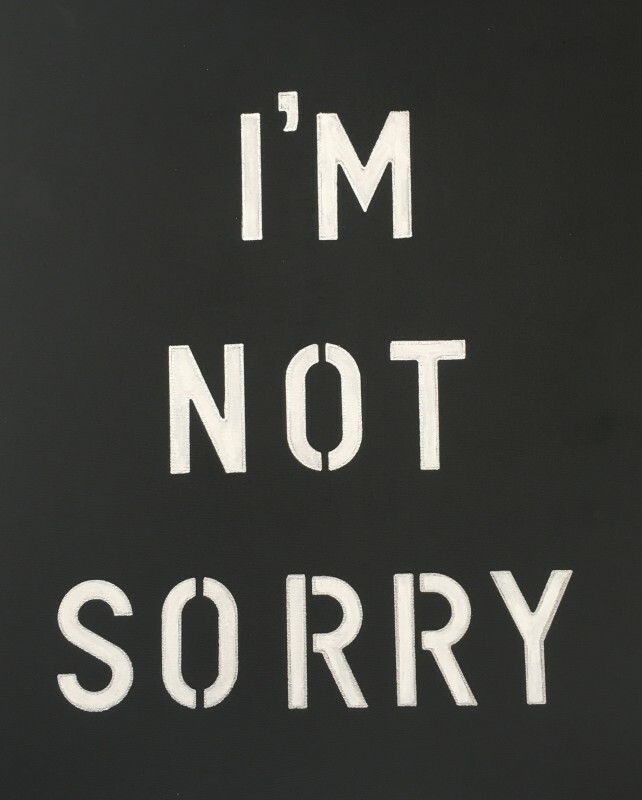 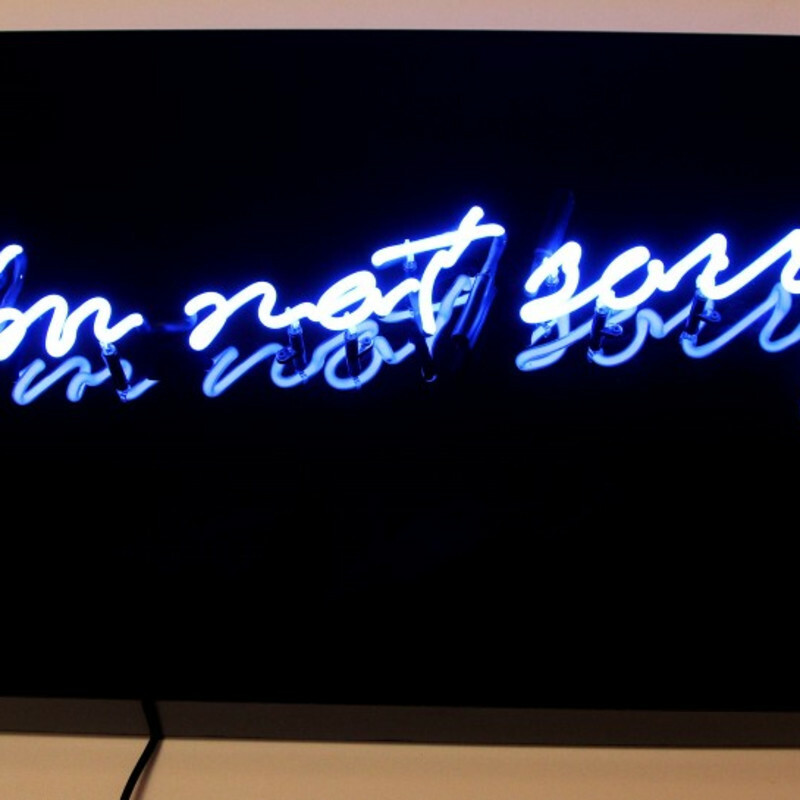 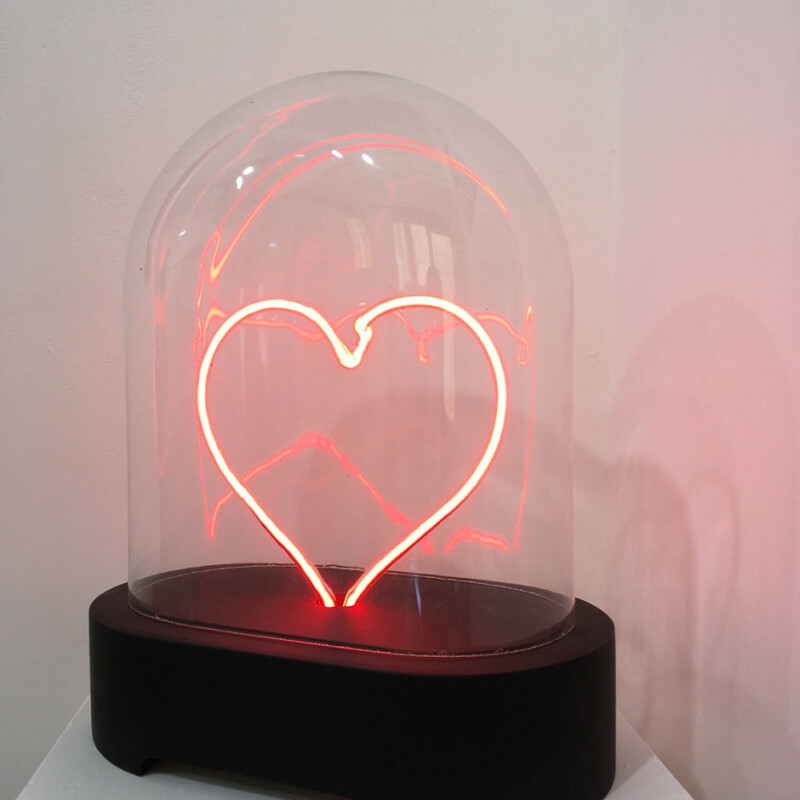 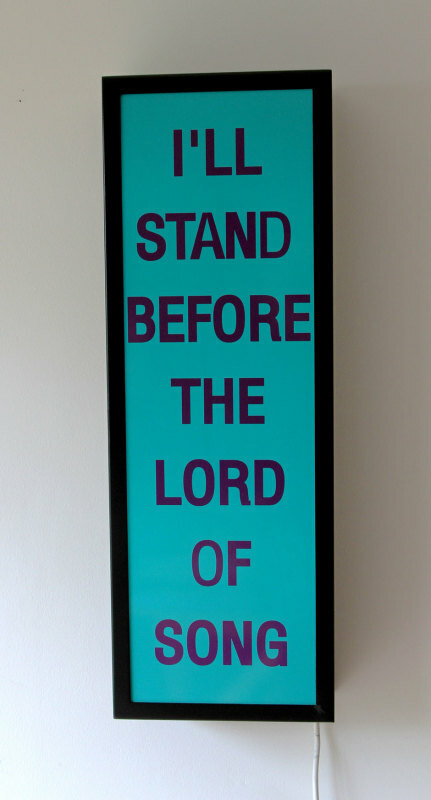 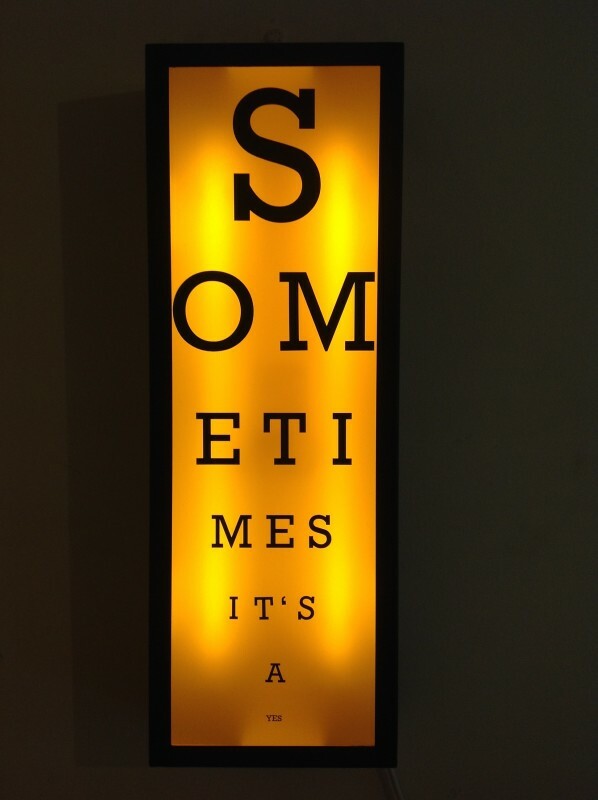 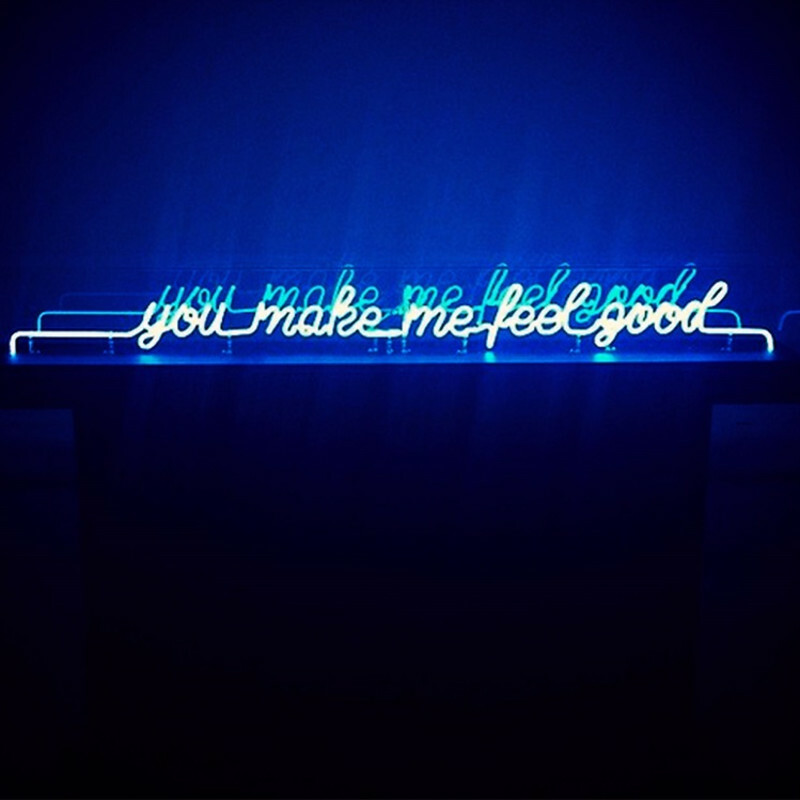 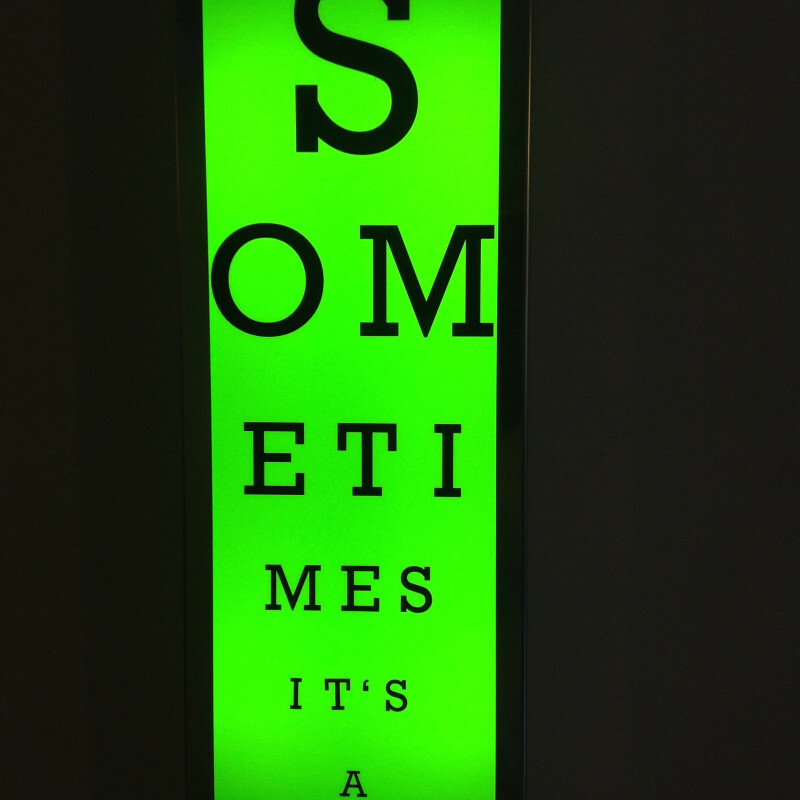 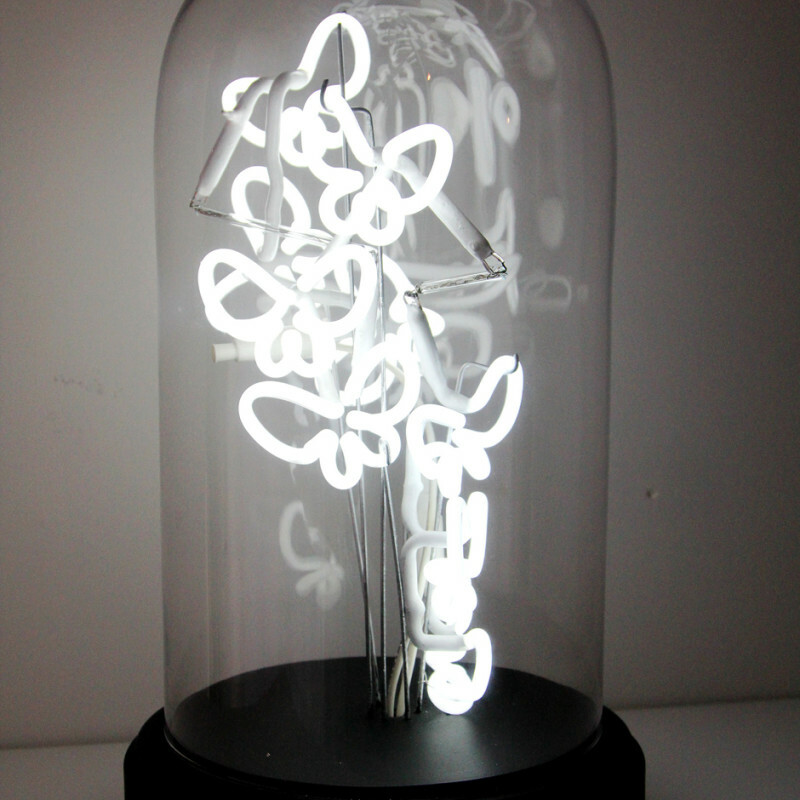 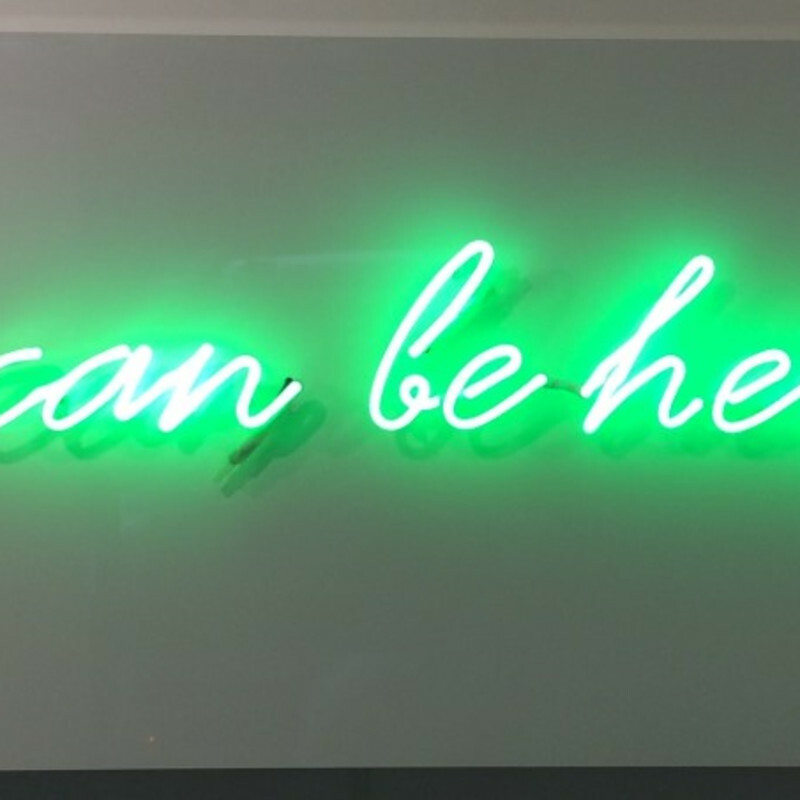 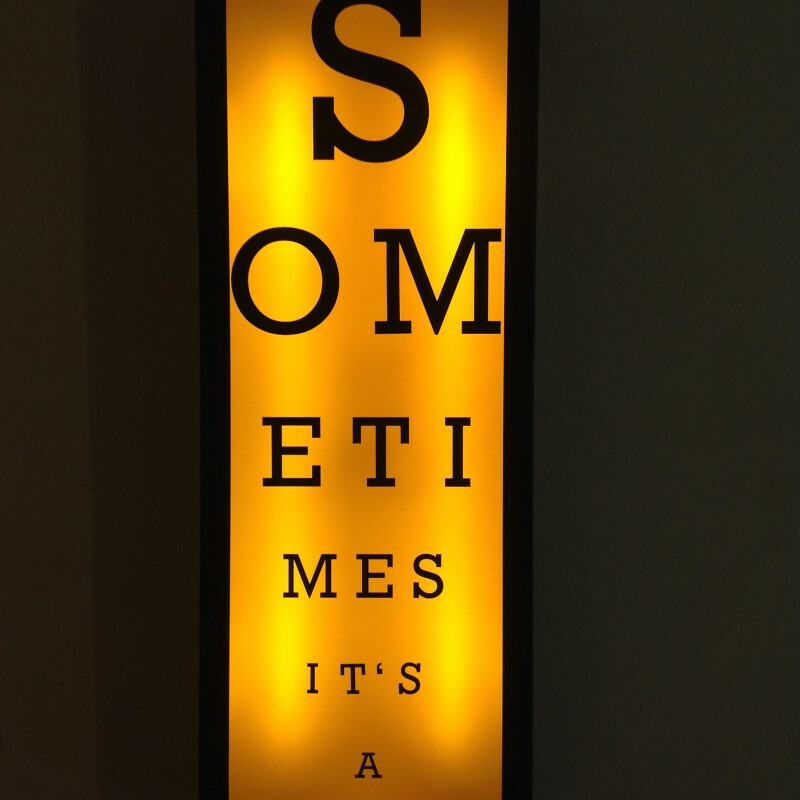 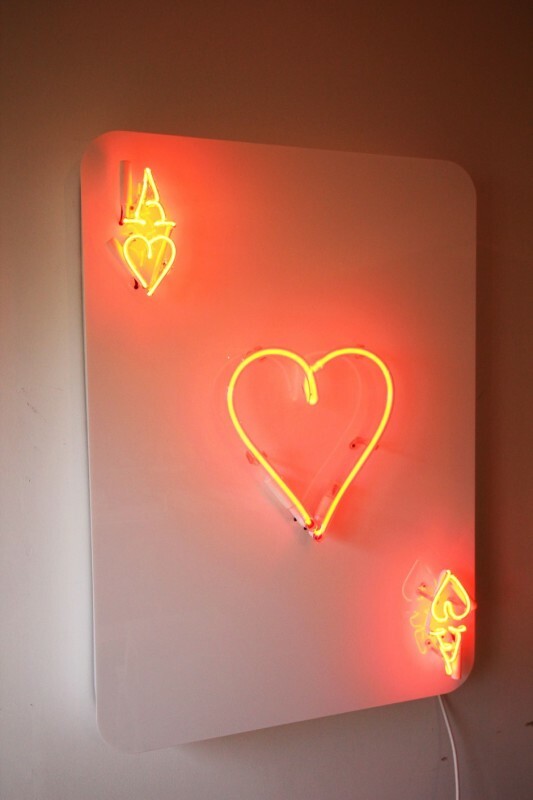 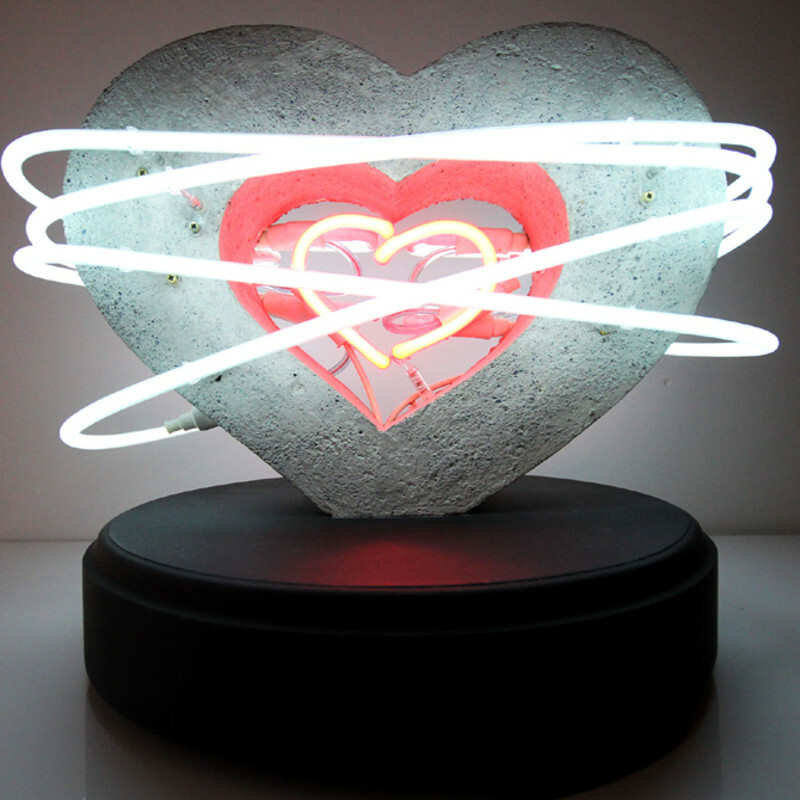 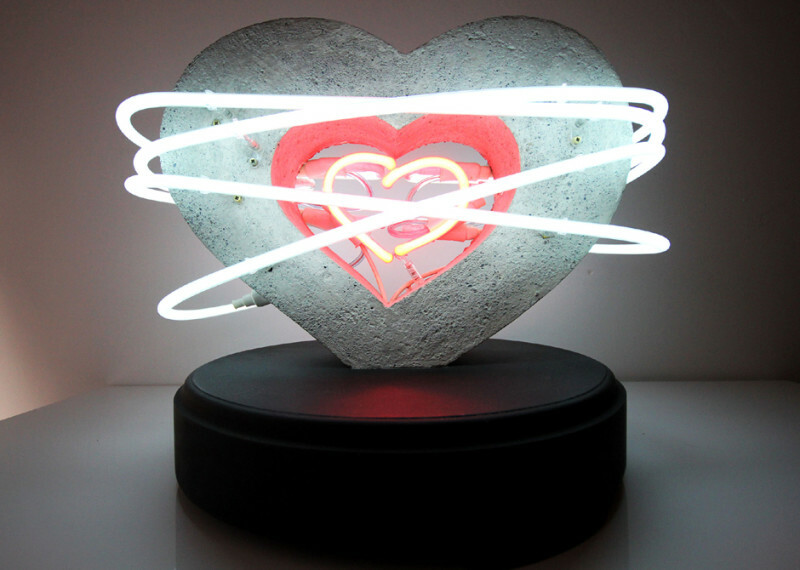 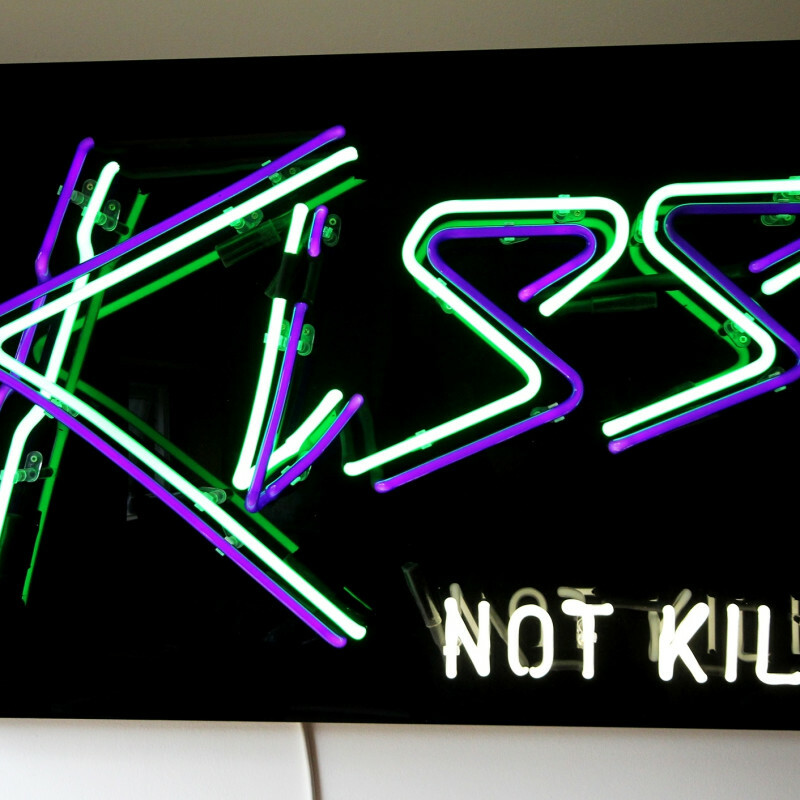 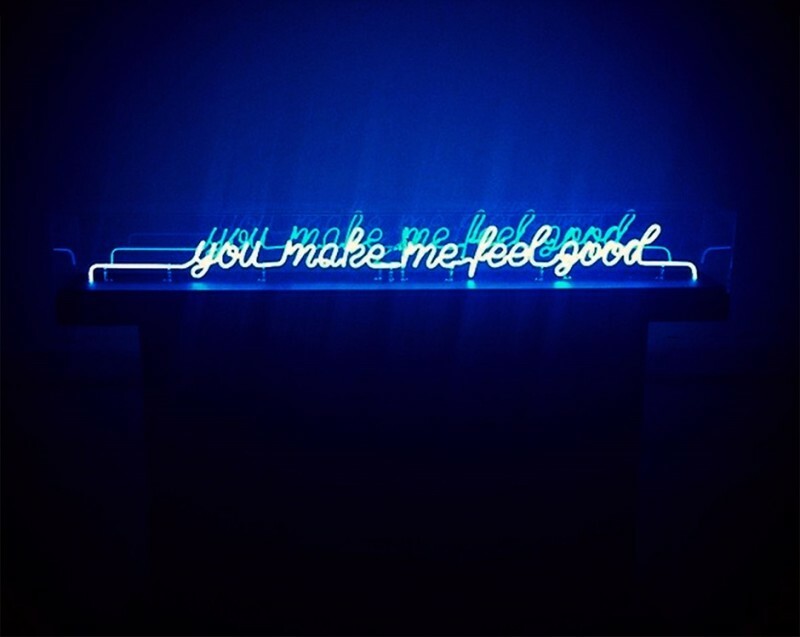 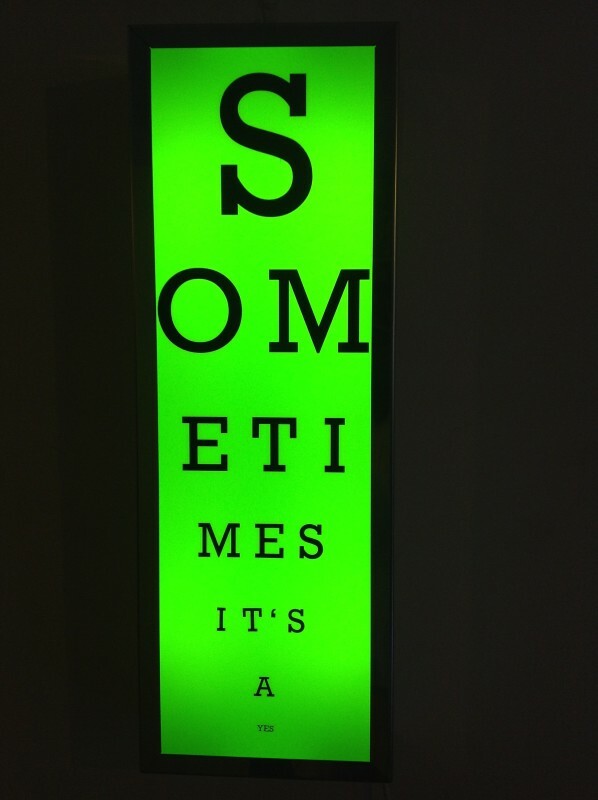 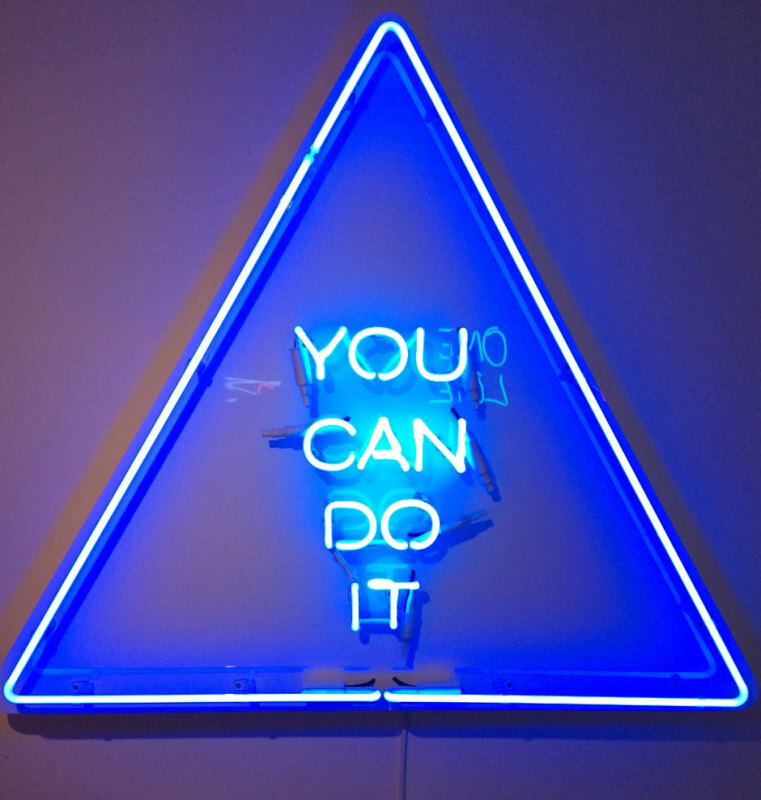 Stepping in line with artists like Chris Bracey, British neon artist, Zoe Grace also creates light boxes and neon artwork, in collaboration with Irish artist John Morrissey. 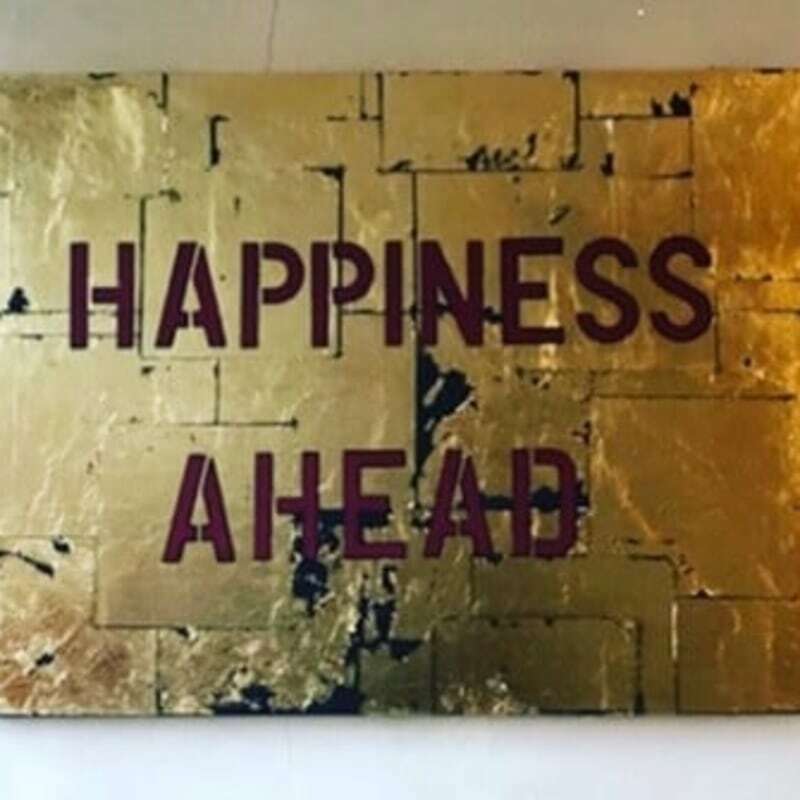 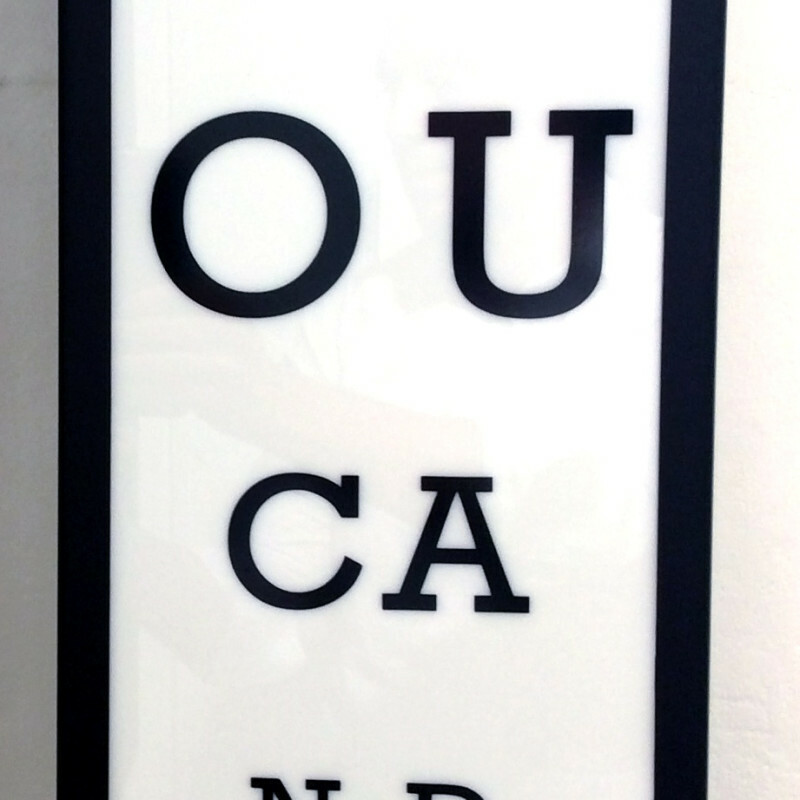 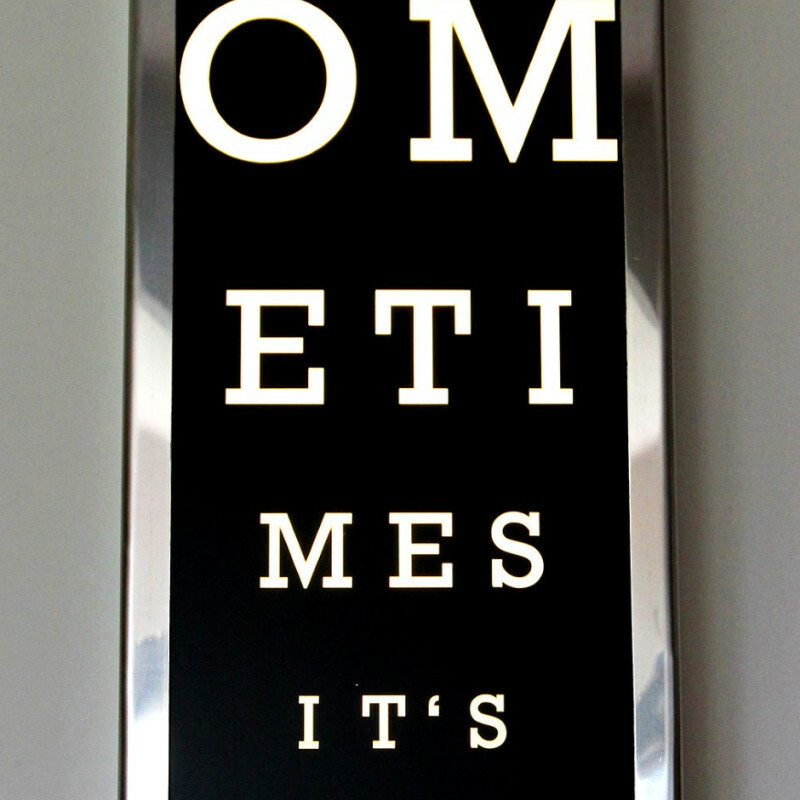 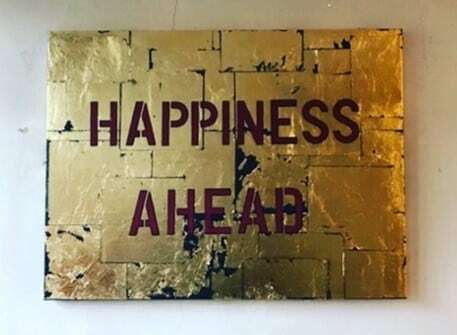 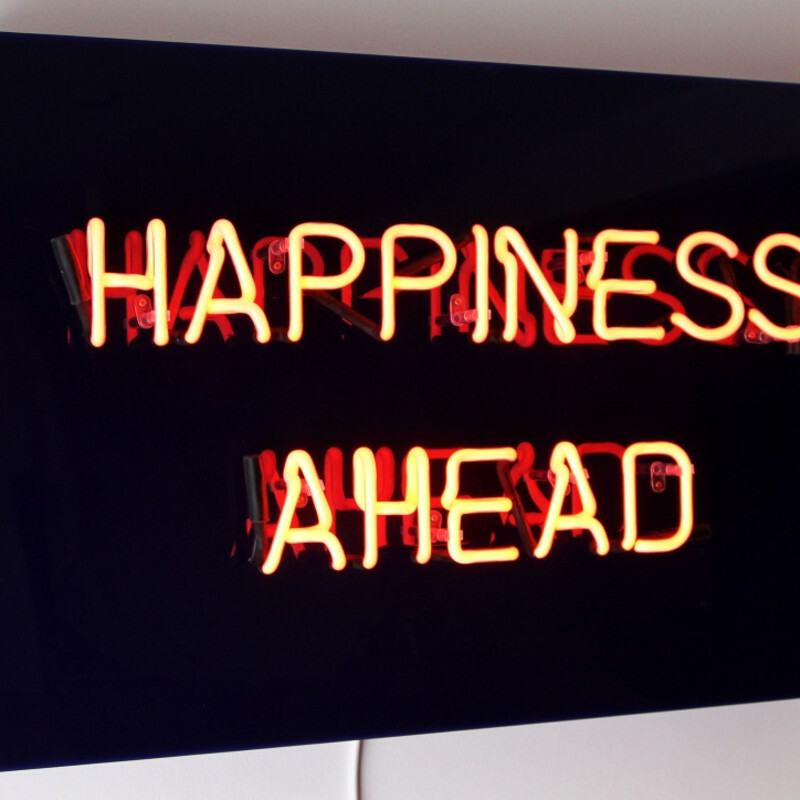 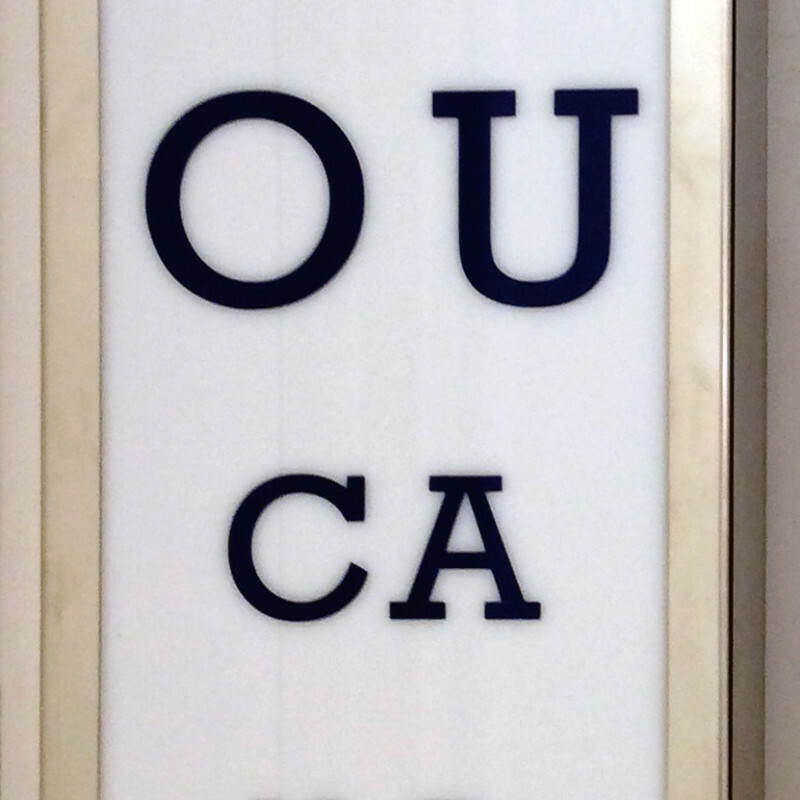 The text-based pieces are positive and supporting in their messages, taking the shape of things that are usually less comfortable, like ophthalmologist test boxes and traffic warning signs, and replacing them with more uplifting and hopeful messages.